In collaboration with the Scottish Society of Louisville, join members of the band for the “KIRKIN’ OF THE TARTANS” – Beulah Presbyterian Church, 6704 Bardstown Rd, Louisville, KY 40291 Sunday, April 22, 2018, 10:40 a.m.
As part of the church’s 150th anniversary celebration, Beulah will conduct a “Kirkin’ of the Tartans” at our 10:40 worship service to honor the Scottish origin of the Presbyterian Church. In the spirit of the occasion, we invite you to wear plaid on April 22nd. The service will begin with a processional including bagpipe and drum, tartan banners and flags. 6th – Tartan Day at the Frazier Museum, 11AM-2PM. Performing, sharing information about bagpipe and drumming classes. More info at this link. 11th – Pub-raiser for the band at O’Shea’s, 956 Baxter Ave, Louisville, KY 40204, 7 p.m. and 8:30 p.m. Performing two sets with Highland dancers and Irish dancers from McClanahan’s School of Irish Dance! Help us raise money to pay for new bagpipe chanters – $4500! With your help, we will pay the bill! Make a donation. Buy band swag – t-shirts and hats! Can’t attend? Click on the button below to make a donation! 13th – Indoor Bagpiping and Drumming Solo Competition in Cincinnati. More info at this link. 15th – IU Southeast International Festival, performing from 5PM-5:15PM, sharing information about bagpipe and drumming classes. More information at this link. 2oth – Annual Frankfort Road Easter Parade. 11:30 p.m. More info at this link. 18th – Band competition, Smoky Mountain Games. More info at this link. 1st – Glasgow Highland Games. Our friends in the Scottish Society of Louisville are the Honored Society! More info at this link. 22nd – Band competition, Ohio Scottish Games. More info at this link. 31 – Worldfest on the Belvedere, Louisville, KY. The band marches in the Parade of Cultures at noon and plays a concert on the main stage at 1 p.m.
14 – Columbus Scottish Festival, Columbus, IN. TBD – Central Kentucky Highland Games, Eminence, KY. The band steps off at noon for opening ceremonies. 29, 39, 31 – Boar’s Head Festival, St. Paul United Methodist Church. Five performances. Free to the public, but reservations are requested – please visit this link for schedule and to reserve seats! 7th – 3 p.m. piping in the Ancient Order of Hibernians St. Patrick’s Parade, Bardstown Road, Louisville, KY. More information at this link. 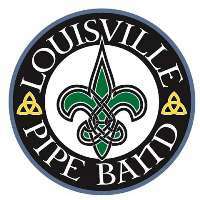 Copyright © 2019 Louisville Pipe Band.